A craft I can do with my daughter is always enjoyable. 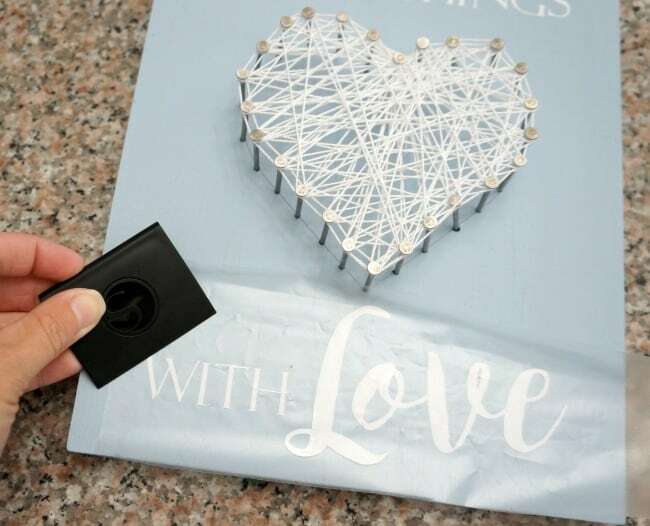 This week we created simple string art and, using the same materials, created 2 unique and beautiful pieces. 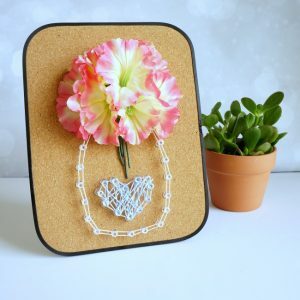 Get all the details on how to make string art for kids and adults, it’s a craft you’ll want to try with your kids. 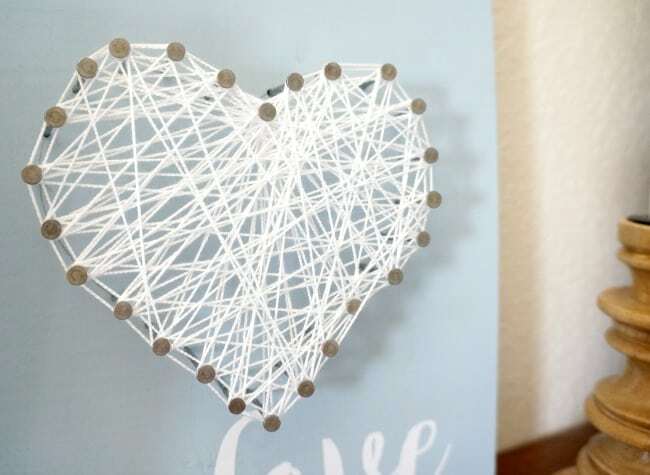 I have tried my hand at string at before, this Dollar Store string art was so easy to make and turned out lovely, I have it displayed in my office. I wanted to try the real thing with wood and nails this time around so I gathered my supplies and created string art with my daughter. 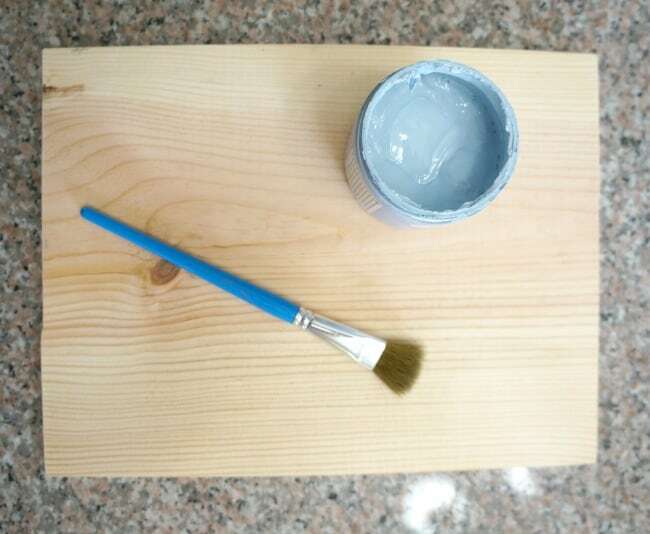 Start by painting the wood board a color of your choice. I chose Americana Decor Chalky Finish paint in Serene. 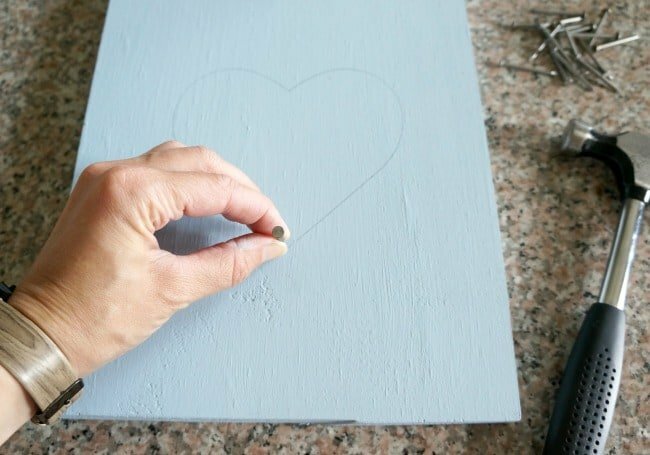 Once the paint is dry, draw or stencil a shape to use as a guide for your nails. I chose a heart and my daughter chose a star. Next, hammer your nails about halfway into the wood along the shape that you drew. Nails should be spaced about 1 inch apart and stick up 1-2 inches above the board. Once the nails are in place it’s time to start adding the string. I chose to do mine in a pattern at first, then went back and crisscrossed the whole shape to fill it in a bit more. Just tie the string to one tail and start wrapping it around each nail as you go. I used thin white crochet yarn and my daughter used a thicker red yarn. 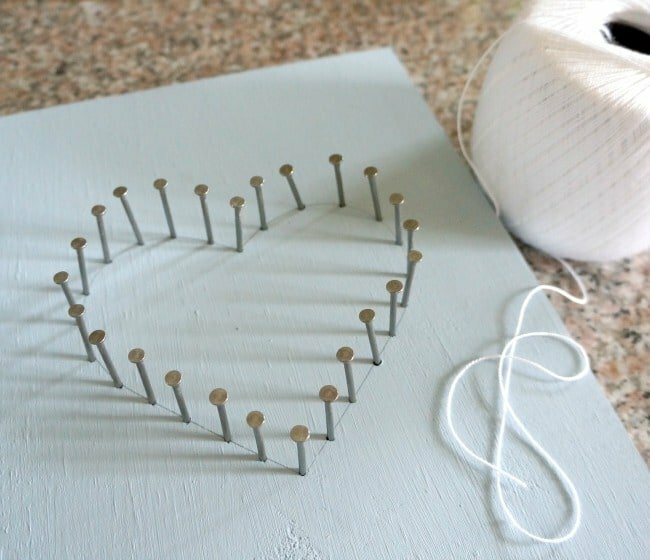 Once the shape it filled to your liking, just tie off the string and your project is complete! 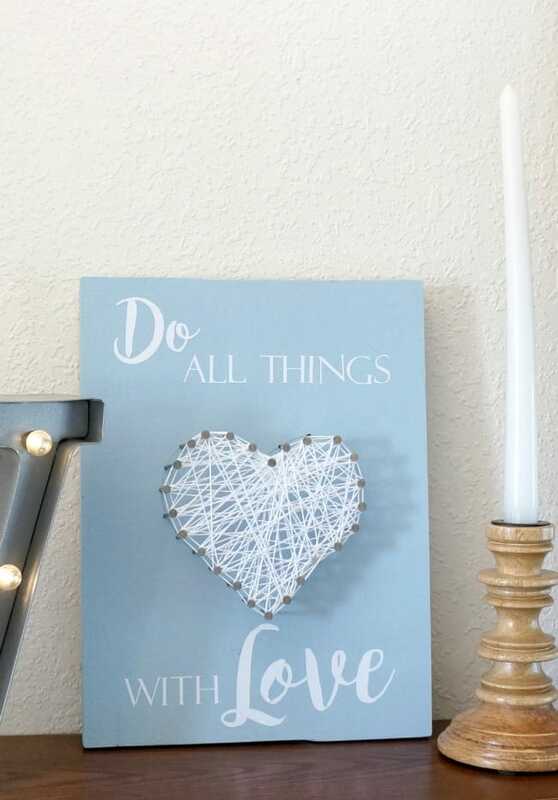 I chose to add some vinyl to mine, it reads “Do All Things With Love”, a fitting message for my mantle. I simply cut the phrase with my Silhouette out of matte white vinyl then transferred the words to my sign. My daughter is so proud of her creation, we’re displaying it in the living room for the season. 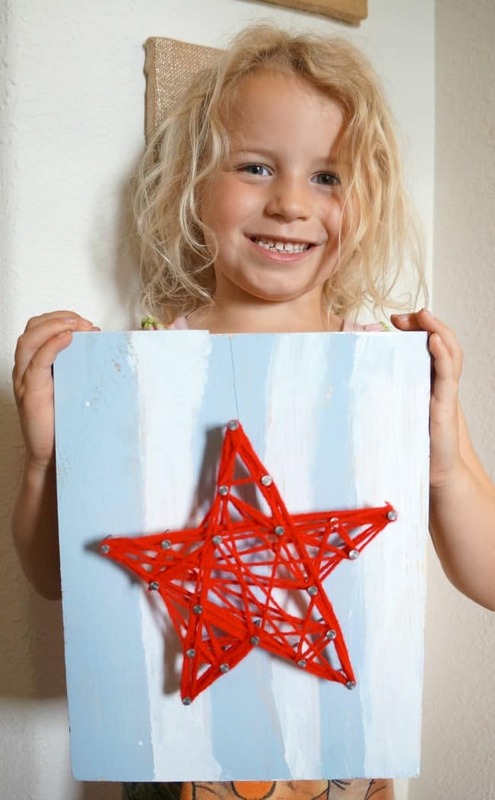 When doing this project with your kids, let them paint and draw or stencil the shape. 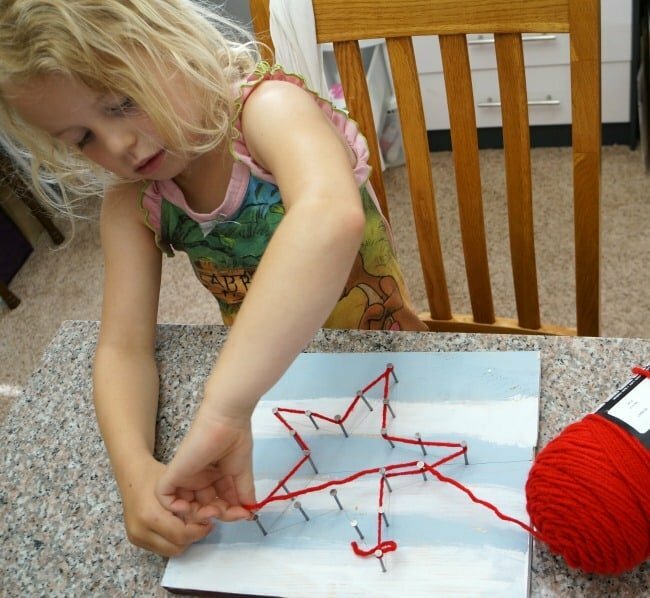 My daughter is 6 so I hammered in the nails for her, then she wrapped the yarn around her star. Crafting with kids can be such a joy, I love watching them create. Tell me about your latest craft project with kids. What a fun and beautiful project! I will have to make one! I love the heart. And your daughter’s star is super! Oh my, your daughter is beautiful and so proud of her heart! 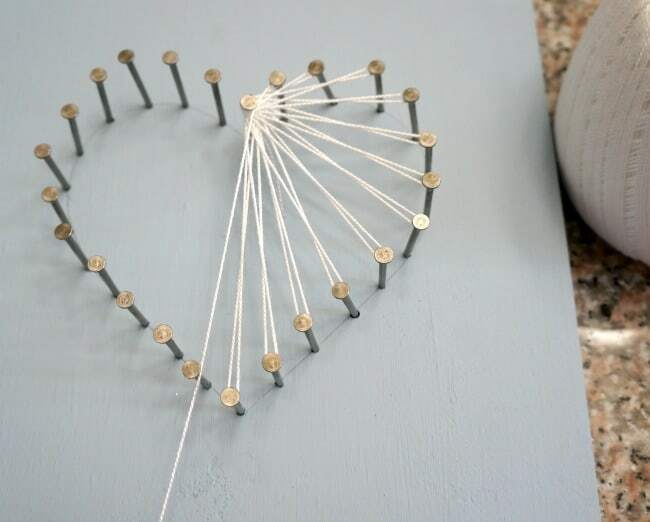 What a fun craft…been a long time since I’ve done a string art.